Survey interviewers collect facts and opinions by interviewing people. They conduct interviews for market research companies, government agencies and other organisations. Source: Careers Directorate – TEC research, 2018. Chances of getting a job as a survey interviewer are average for those wanting to enter the role, but good for those with experience. Pay for survey interviewers varies depending on experience. Those starting out usually earn between minimum wage and $20 an hour. Experienced survey interviewers can earn between $20 and $40 an hour. Some companies offer performance incentives and long-service incentives. Some experienced survey interviewers are self-employed and contract their services to market research companies for an hourly rate. keep a record of the interview for the survey supervisor. good keyboard and computer skills. sometimes travel locally or nationally to conduct surveys. 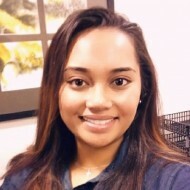 Michelle Finau works as a supervisor for a market research company in Auckland that does phone and field interviews for a range of clients. "I find that the interview subjects are very interesting – and we get to know the results before anyone else," Michelle says. Michelle trains survey interviewers and makes sure her team meets quotas, asks the right questions, and records accurate survey answers. Watching people she's trained grow more confident is a source of achievement. "When they first started they were shy. Now, hearing them on the phone, it's like they don't need me," she says. If difficult interviews happen, she tells interviewers to stay happy, calm and confident. "You just need to be confident over the phone and ensure the person on the phone feels comfortable," she says. "If you smile on the phone, there’s a good vibe at the other end of the phone." There are no specific requirements to become a survey interviewer. However, a good standard of spoken and written English, computer skills, and a driver's licence are useful. Survey interviewers usually get training when they start their job. There are no specific secondary education requirements for this job. However, NCEA Level 1 English, maths and social studies are useful. You just need to be confident over the phone and ensure the person on the phone feels comfortable. If you smile, there’s a good vibe at the other end of the phone. Survey interviewers need to be able to spend a long time sitting or standing, and have good hearing and clear speech. Survey interviewers who interview people in person need to be reasonably fit as they may need to walk long distances, or up and down stairs. workers move on to other higher paying jobs. 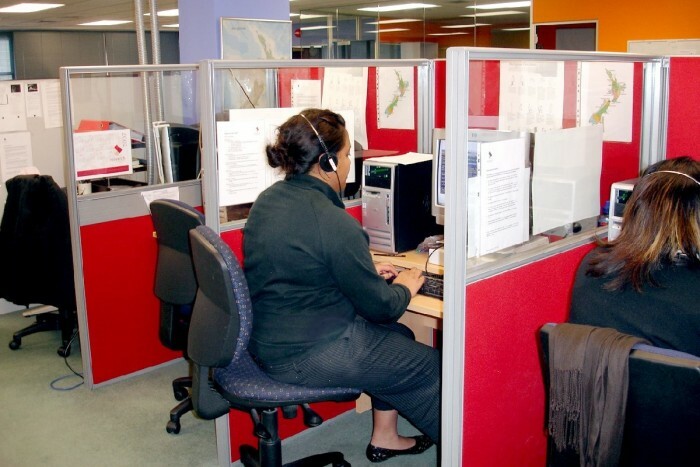 some companies are using cheaper overseas call centres to cut costs. Some experienced survey interviewers are self-employed and work on contract. Davison, B, human resources manager, Neilsen, careers.govt.nz interview, March 2018. Demonstrators show and explain goods and services to potential customers, and promote new lines of products and services. Receptionists greet visitors and clients, and deal with enquiries and requests. Their work includes administration tasks such as answering the telephone, scheduling appointments and keeping records. Telemarketers promote and sell goods or services by telephone.